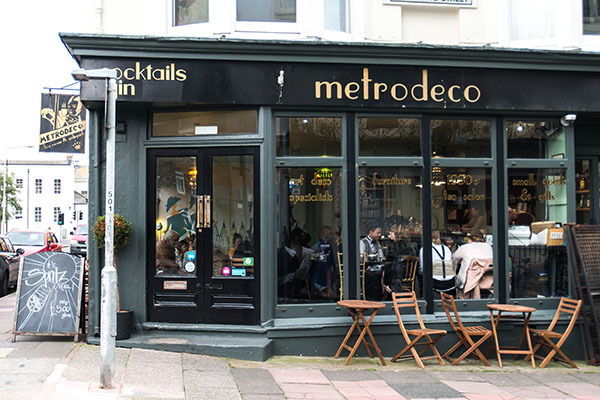 Metro Deco Brighton is a Twenties style tea room based in Kemptown. It’s light and airy with big windows letting in lots of natural daylight, there are some sofas you can sit on around coffee tables, so there’s a relaxed feel, along with tables and chairs to sit at. The decor is in the style of vintage/deco/modern. This cafe gets very busy so call in advance, and if you have your heart set on Metro Deco I would book so you definitely get a seat. 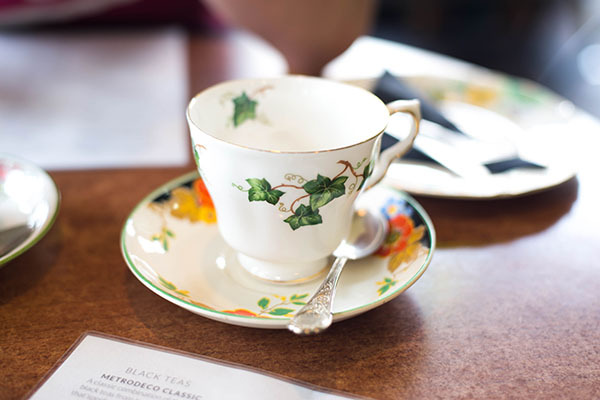 The tea menu was abundant. 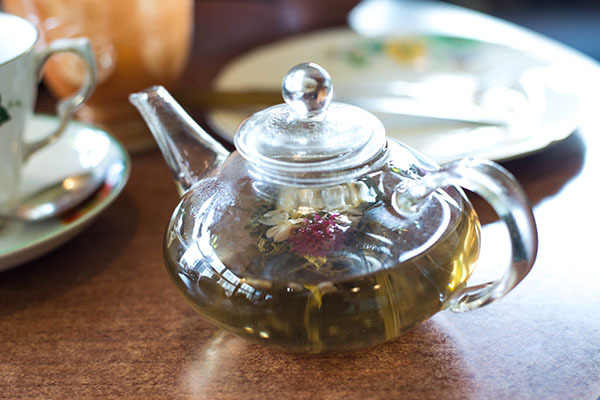 I went for the flowering tea which looks pretty and Dan had the chai tea. 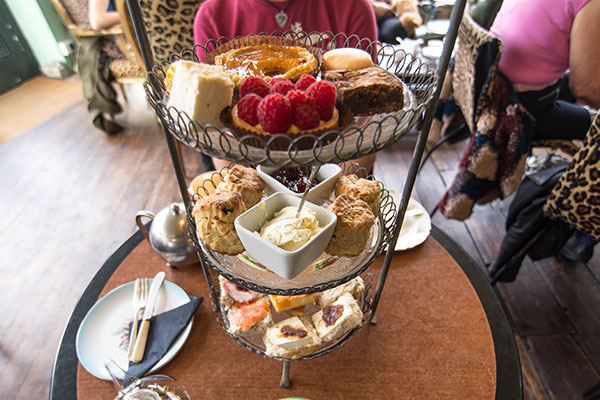 We had come to do a review on the classic afternoon tea, but there are other options such as afternoon tea with cocktails, and a savoury afternoon tea. The member of staff we had serving us was very kind and friendly. When the three tiered stand arrived we had some open sandwiches at the bottom which were on pieces of bread rolls. I had already asked for there to be a vegetarian option so they had catered to this requirement. 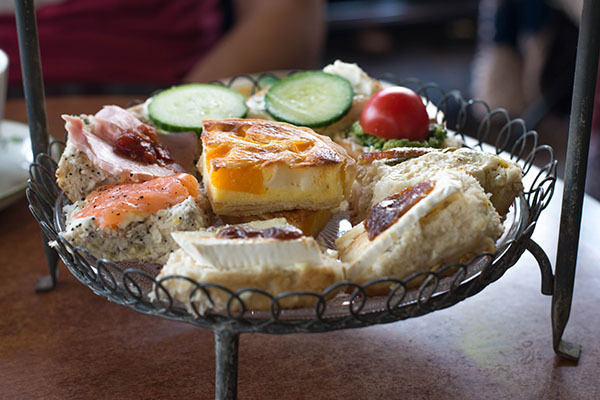 Fillings included: brie and chutney, humous, cucumber, smoked salmon and cream cheese, ham. There was also a piece of warm quiche. 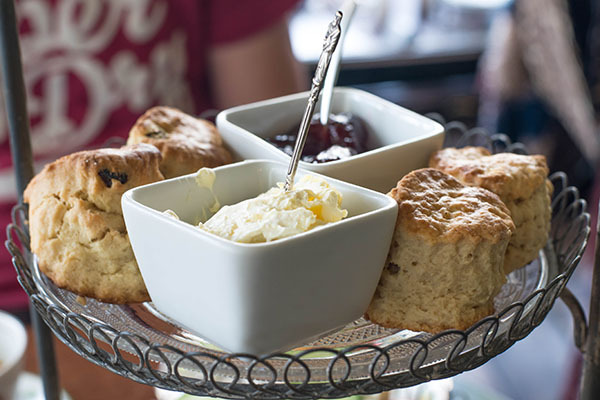 The tier up was your standard scone, jam and clotted cream selection. 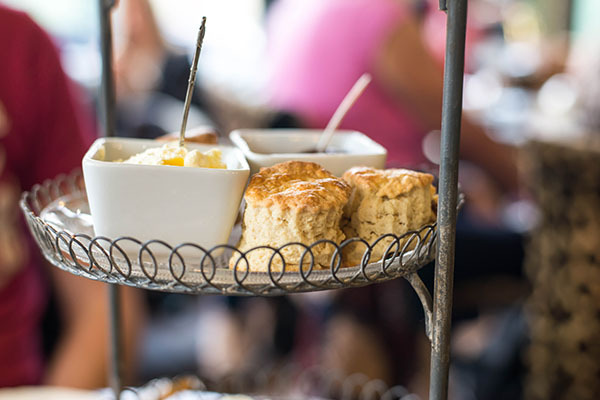 The scones were mini and had been warmed. 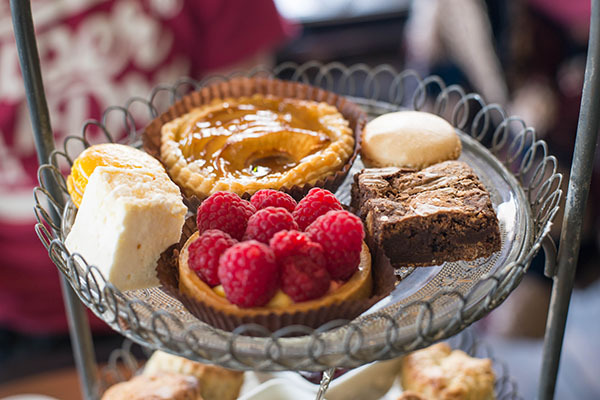 Then the top tier contained a selection of sweet pastries, some brownie, macarons and marshmallow. 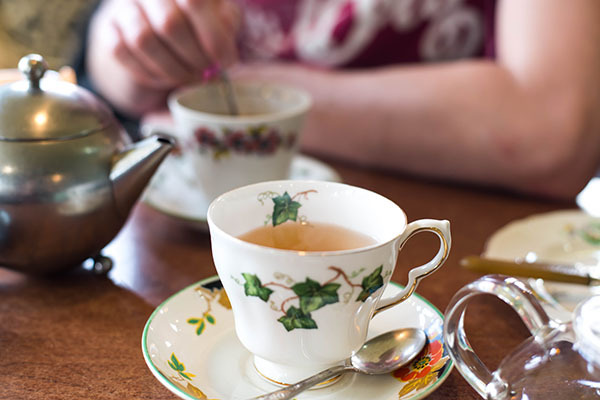 Overall it was enjoyable for an afternoon tea, I would ask to be seated on a sofa next time – I had been before and it’s a lot comfier. The staff are super nice, the food is good and the place is very popular.